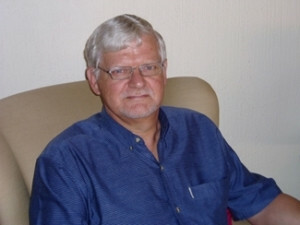 SA's cyber security skills shortfall is a 'national emergency', says University of Johannesburg's professor Basie von Solms. The lack of cyber security expertise in SA is a national emergency, says professor Basie von Solms, director at the Centre for Cyber Security at the University of Johannesburg. "Much more cyber security expertise internationally and in South Africa is urgently needed. It is claimed that the demand for cyber expertise is 12 times more than that of IT in general, which in itself is at a premium. South Africa cannot secure its cyber space, including its critical information infrastructures, without such expertise," says Von Solms. The Centre for Cyber Security was established in 2012 with the aim of addressing cyber crime in South Africa. Skills development is an integral part of its mandate. Von Solms will expand on this subject during his presentation at the upcoming ITWeb Security Summit 2015, to be held at Vodacom World in Midrand next month. "Cyber expertise is not only required in the technical area, but over a multi-disciplinary front. To secure SA's cyber space, we need cyber expertise among legal workers, medical workers, teachers, auditors and many other fields. With more and more cyber-space-based systems rolled out as part of e-government development, the government needs a massive supply of cyber skilled people - again across all disciplines and professions." He believes government is not doing enough to combat the skills shortages here. "We need a national cyber capacity-building initiative, started by government and using structured public-private partnerships to create such capacity." Private industry cannot do this on its own without direction and support from government, says Von Solms. He adds such support must include financial grants to potential students, financial support for small companies that want to up their cyber skills, tax benefits for companies that can prove they have upped the security of their systems, and so on. Von Solms will be among over 30 international, African and local subject matter experts presenting at ITWeb Security Summit 2015, the 10th annual essential update for infosec practitioners. Click here to find out more and register for the event.